Members of the #savethecrew movement have taken a trip up to Cleveland to support our friends at Cleveland SC take on Syracuse FC. The members of the squad can be seen showing their support for the #stc movement by wearing STC branded t-shirts in the pre-match warm-up. Hopefully, this is the start of a great friendship. Now is the time. We are at the pinnacle point, where it is on us to help further the cause. While the City and State do their job in court, we need to do our job in the streets. 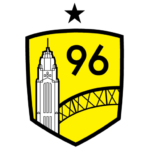 Pledge to become either a season ticket or multi-match holder and help show any potential investors that Columbus is not a city with poor ‘metrics’. Sign the Project 2019 Pledge to show your support for new local investor/operators. Tough, tough game. LAFC scored both goals within the first ten minutes of the game, and despite the #savethecrew support from LAFC fans, Columbus Crew SC could not find an answer. Next game is Saturday, 7:30pm at home against Real Salt Lake with post-game fireworks!